Hi. It’s Christine and Nick. We believe in transparency on the web and so we’re disclosing that we’ve included certain products and links to those products on this site that we will earn an affiliate commission for any purchases you make. 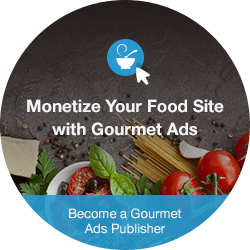 Our goal with the blog is to share tasty recipes with you as well great tips on food blogging and photography, but please understand that we are doing this as a for-profit business and, frankly, so should you with your site unless you have some charitable endeavor in mind. It’s incredibly difficult to keep track of every affiliate link we include, so you should assume that any links leading you to products or services are affiliate links that we will receive compensation from. We promote only those products or services that we truly believe in and feel that they deliver value to you. Examples would include AWeber, BlueHost, LeadPages and various products from other affiliate marketing programs including Amazon. If you have any questions regarding this, please contact us by using the contact page.